First, the Rasmussen history on this matchup: March 15: Toomey +5. April 12: Toomey +11. May 6: Toomey +2. May 19: Sestak +4. One might say before now that Toomey peaked in April and the trend is for the upstart Democrat. But no. As I expected, the pendulum has shifted back for now. 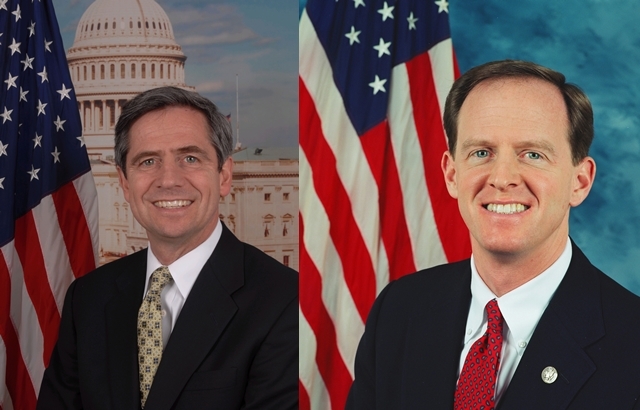 Toomey 45, Sestak 38 (MoE 4.5). Add to that history June 2: Toomey +7. I’m still expecting Sestak to lead again at some point though, despite the huge 11 point swing for Toomey since the last poll. But that’s not to say this current shift is purely random. Scandal seems to have driven at least part of this swing. Rasmussen polled on the allegations that the White House used former President Bill Clinton to offer Joe Sestak a job in exchange for clearing the primary for Arlen Specter. 42% are following the story very closely, and 72% combined are following it very or somewhat closely. 41% think it’s not very or not at all important to their votes, while 52% think it’s somewhat or very important. So whether the next random swing lets Sestak recover this whole 11 point swing seems to depend in part on whether Sestak is cleared in this story, or whether the whole thing blows over entirely.